GODFREY — Casper John (Jack) Jacoby III, 91, passed away on June 28, 2017 peacefully and surrounded with love. His beloved wife, Betty, (Elizabeth O. Jacoby) passed away in 2004, just before their 50th wedding anniversary. He was born in Alton on October 23, 1925 to Casper J. (Cap) Jacoby and Adienne E. Jacoby. His brother, Dean L. Jacoby, predeceased him. A 1943 graduate of Alton High School, he served as a Lieutenant in the Army Air Force. Assigned to a B-29 crew as a Navigator and then Bombardier for the then-new radar bombs, even helping direct traffic on VJ-Day at the fabled corner of Hollywood and Vine. After the War, he graduated from MIT in 1950 and the Harvard Business School in 1952. In 1954 he married Betty in Cambridge, MA and they built a home in Stamford, CT. They are survived by their devoted children: Karen Jacoby Sinunu and her husband Michael, of Summit, NJ; Casper J. (Kip) Jacoby IV and his wife Mary, of Vero Beach, FL; their four grandchildren and one great-granddaughter. They all loved him dearly and cherish his memory. Jack resigned from Olin Mathieson Chemical Company in 1961 to return to the family furniture business in Alton. He and Donald A. Jacoby, his cousin and dear friend, together ran the business started on October 23, 1883 by their grandfather, Casper J. Jacoby, Sr., until they closed it and retired in 1998. The 40,000 square foot building was given to the Madison County Arts Council, and has become the Jacoby Arts Center. Upon his return to the family business, he became active in community affairs. He was elected to the Executive Board of the Piasa Bird Boy Scout Council in 1962, serving as President for 3 consecutive terms, reopening Camp Warren Levis to formal summer camping, rebuilding the swimming pool and the caretakers Lodge. He was awarded the Vigil Honor of the Order of the Arrow and the Silver Beaver award by the National Boy Scout Council. He served for 25 years on the Board of Directors of Alton Banking & Trust Co. (Wedge Bank, ultimately the Mercantile Bank of Illinois) until his mandatory retirement at age 70. He was a member of the First Presbyterian Church, serving as a Trustee of the Church for two 3-year terms. In 1965 he was a founder of Pride, Inc., serving two terms as Vice President under Dr. Gordon Moore. He and Bill Roller served as Co-Chairmen of the first of the many street-tree planting programs undertaken by Pride, Inc. 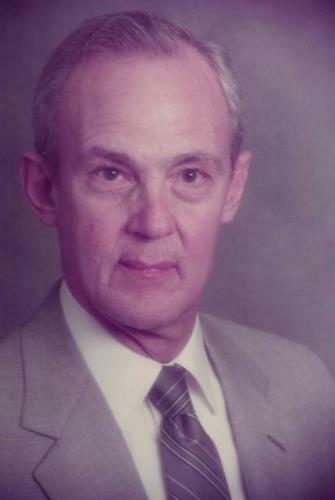 He was the first President of River Bend Civic Progress, an organization of all the then-area mayors and key public-spirited citizens from all River Bend communities, with the objective of working together to solve common area problems. This led to the merger of area Chambers of Commerce and other Organizations to form the River Bend Growth Association, with the objective of having one organization serving all the Communities in the area. He served as the initial Vice President of the new Growth Association. In 1984, the Growth Association and Pride, Inc. sponsored a public meeting to decide what to do with Riverfront Park after completion of the Dam at its new location downstream, giving Alton back its riverfront access. As a result of that meeting, he was asked by Mayor Burt Wuellner to become Chairman of a Citizens Lakefront Advisory Commission, a position he held under four successive mayors. Ultimately, a long-range master plan was adopted by the Alton City Council. Through that plan, the footprint of a boat harbor was dug before the water level was raised by the new dam, and the floating marina facilities were built, as were the amphitheater and other features of the plan, giving back access to their riverfront for Alton Area Citizens. When Congressman Costello secured Federal funding for a building at the new dam for a Regional Visitor's Center, he served as co-chair, with a Corp of Engineers Manager, of a small joint committee to work with the firms contracted to design and build exhibits about the Mississippi River for the Museum at the Visitor's Center. In 1994, Jack Helmkamp and he were asked by the nine Mayors representing the River Bend area communities to co-chair the dedication ceremonies and celebrations of the new replacement Clark Bridge. In 2000, Betty and Jack received the Caring Award from Family and Community Services for their joint contributions to the community. In 2002, he received the Studs Terkel Humanities Service Award from the Illinois Humanities Council for his local contributions to the State. In 2006, he received the Gordon F. Moore Service Above Self Award from the Alton-Godfrey Rotary Club. He was a member of the Nature League. His ashes will be buried beside his wife, Betty, at his family plot in Valhalla Cemetery in Godfrey and also at Betty's family plot in Rangeley, ME, and their beloved family vacation sites in Aspen, CO and Damariscotta, ME. A celebration of his life is being planned by his children at First Presbyterian Church on Thursday, July 13, at 10:30 a.m.
To paraphrase an old saying, Jack didn't plant trees to sit under them, but to provide for future generations. He would encourage all to devote time to enhance this wonderful community of ours. In that spirit, the family requests that any memorials be sent to the Jacoby Arts Center or to Pride, Inc.